Sweetgreen on Eye Street will be closed Thursday for the Day Without Immigrants protest. Some D.C. restaurants powered by immigrant servers, cooks and other staff members will be short-staffed or closed for the Day Without Immigrants protest Thursday. 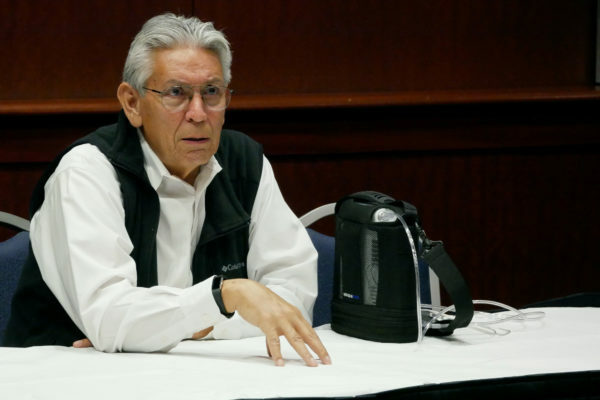 The nationwide strike is a response to President Donald Trump’s crackdown on undocumented immigrants, use of an “extreme vetting” process and plans to build a border wall along the Mexican border, the Washington Post reported Wednesday. 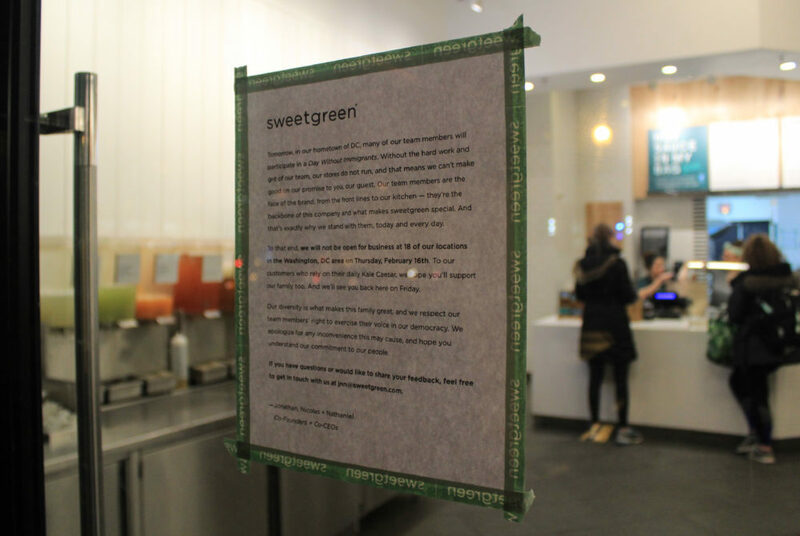 Sweetgreen will be closing 18 D.C. locations, including the Foggy Bottom location on I Street, Nancy Savage, the Foggy Bottom location’s manager, said. Jetties and Surfside will be closing all locations except the shop on 19th and I streets tomorrow, according to a post on the business’s Instagram. Lauren Matthias, general manager of Tonic, said that there are not any plans to close the restaurant but managers expect a staff shortage. Matthias said a few schedules are being rearranged because two or three people have said that they will not work Thursday, but she does not expect business hours to be affected. “As of right now, a couple of people have told us they won’t come in,” she said. At Taylor Gourmet, a sandwich shop at 1750 Pennsylvania Ave. that accepts GWorld, employees will be allowed to exercise their rights and not show up to work with “zero repercussions,” according to DCist. The restaurant will remain open. Chef José Andrés, a Spanish immigrant and the owner of several local restaurants including campus favorite Beefsteak, announced on Twitter that his restaurants Jaleo, Zaytinya and Oyamel will be closed Thursday in observance of the protest. The general managers of Whole Foods Market in Foggy Bottom, Paul in the Shops at 2000 Penn, District Commons, Burger Tap & Shake and Beefsteak said they do not have plans to close. Instead of closing up shop, some local restaurants are participating in the day’s protests by giving proceeds to charity. Bar Pilar will be swapping their regular menu for select Latin American dishes and a portion of cocktail sales will go to the American Immigration Council, according to the Washingtonian.